Recreating a salon-quality manicure at home calls for the right tools, including a polish that goes on smoothly and evenly. Gooey, sticky, and bubble-filled polish results in frustration, smudges, need not apply as they provide anything but a professional look. Don't kick that icky polish to the curb, though! (Even though most of us have a nail polish collection that could rival an actual nail salon). Simply give it new life with these tips. That way, you can keep it in your mani-pedi rotation a little while longer. How does nail polish go bad? Once you open a bottle of polish, its shelf life starts ticking away. When exposed to air, ingredients in the polish evaporate and separate, causing the polish to lose its silky smoothness. Over time, the polish will thicken, which can make it challenging to apply. If your polish is gooey or sticky, and too thick to get the job done, then some serious intervention is required. If your nail enamel is less than two years old, restore it to that easy-to-brush-on smoothness by adding a few drops of nail polish thinner to the bottle. Add a drop at a time to ensure you don't make the polish too thin. Secure the lid after each drop and roll the bottle between your hands to distribute the thinner. Then, check the consistency of the polish before adding another drop. Two to three drops of nail polish thinner should do the trick. If your polish doesn't respond to this amount, chances are, the polish can't be restored. If you open that polish and find the brush is hard to remove from the bottle, or, even worse, the brush is covered in a sticky mess of nail lacquer, give your polish bottle a makeover to simplify your manicure. Clean the edges of the bottle in nail polish remover to erase that sticky residue. Once you've eliminated this unwanted polish, it'll be less likely to seep into your bottle and mar your mani. That steady hand doesn't do you much good if your polish goes on bubbly—a result of too much air. You might have seen people do this before, but don't shake your bottle before applying the polish—this only distributes air throughout the polish. Instead, roll the bottle between your hands to prep the polish for a mani-pedi. Improve the consistency of your nail polish by keeping it in the fridge between uses (sounds weird, but it works). The cool temperatures and darkness of the refrigerator allow the polish to retain its smooth consistency. A quick tip to extend the life of your polish is to always store it out of direct sunlight. Not every polish is able to be salvaged. 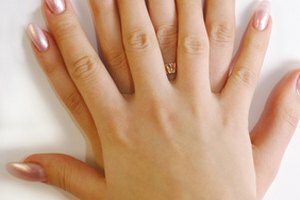 When your nail enamel doesn't respond to these strategies and continues to be thick, gooey, dry or stringy—ditch it. Most of us have about 10 bottles of the same color anyways. 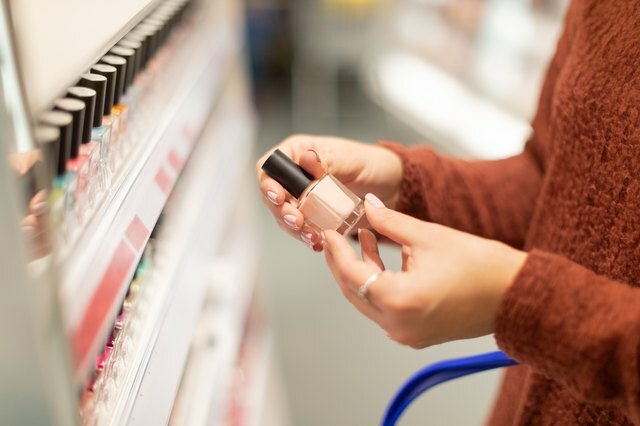 Opened nail polish has a shelf life of about two years, so if your polish has been sitting in your makeup drawer for that long, it's probably time to upgrade your lacquer. Say goodbye to expensive manicures at the salon and hello to gorgeous mani-pedis at home, at more than half the cost, and with beautiful polish that got a much-deserved second life. 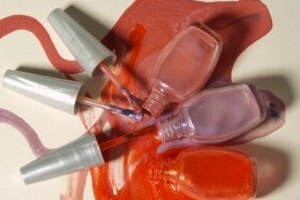 What is the shelf life of nail polish?